Marion and her family were recently on a motorhome holiday, for a weekend, with Goboony. They made their first motorhome trip on their honeymoon in Australia, and wanted to repeat the experience but this time with their children. Read Marion’s report below. When my husband and I honeymood in Australia, nearly 20 years ago, we traveled a beautiful route from Brisbane to Sydney. We felt the ultimate sense of freedom. Stand where you want, wake up by the ocean and see the dolphins: a feeling we’ve never forgotten. Throughout the years, our desire to do it again remained, and this time with our children. Thanks to Goboony, they too experienced this freedom. Our beautiful 6-person motorhome provided luxury and comfort. This included a nice fridge, a 3-burner stove, a toilet, and five comfortable sleeping spots. We picked up our motorhome in Amsterdam, and then went to Soest. In advance, we had obviously thought what we wanted to do. We searched the Internet for nice camper spots in the Netherlands, but there is so much choice that we did not really know where to start. Are we going to water or just primitive in a place of State Forestry? Do we want to do anything or just enjoy nature and peace? 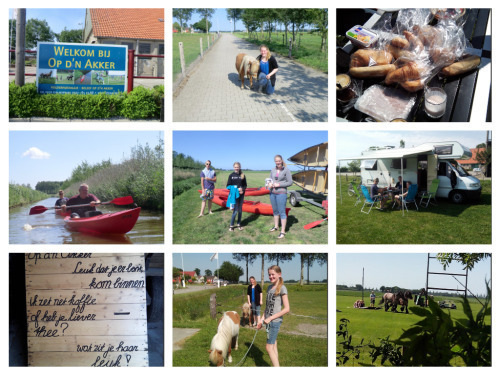 With 3 pubs you have to find something for everyone, and that has finally been the case: The Out-Je-Tent weekend turned out to be in the North-East polder, a weekend where you can sleep for € 5, - or € 10 , - Per night at places that normally do not work and enough activities if we want to. Nice in nature, but with some comfort, in short: our adventure could begin. We had planned our journey in advance, of course. 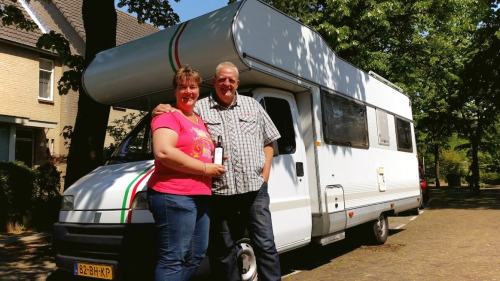 We searched the internet for good motorhome spots in the Netherlands, but with such a wide selection, we didn’t know where to start! To the water, or forestry? Anything, or enjoying nature? We wanted to find something for everyone. We started in Nagele, near Op d’n Akker, with a farmer in has pasture. After a warm welcome, we were able to find a place to park, set up, and we were (almost) ready. Everything was decorated and unpacked, the tent set up, and then time for a cold beer by the motorhome. We tried out the motorhome’s durability in the evening, as we experienced rain and thunderstorms. But, even with five people, we ate well and entertained ourselves with boardgames. After a nice long sleeps, we were served breakfast which we had ordered beforehand. Enjoying our morning meal in the sunshine, on a farm, was a delight. We went on a lovely canoe trip, with beautiful weather and surroundings. The peace and space was delightful. It was a challenge packing up the campsite. Taking it all down and cleaning up. But, we have to move on to the next site! A shame because we were so happy there! After an hour, we were set to go. Campsite number 2 was also very nice, but not as quite as nice as the first. We soon found out we had no bread, and the motorhome had already been set up! Thankfully we had bikes, and cycled to a nearby village to find some. We had a lovely time. After tiring ourselves out, we went to sleep and woke up to Sunday sun. In the morning we had mentoring by Kuinder Bossen, and then we had to recharge the camper and make sure it was all neat and tidy. 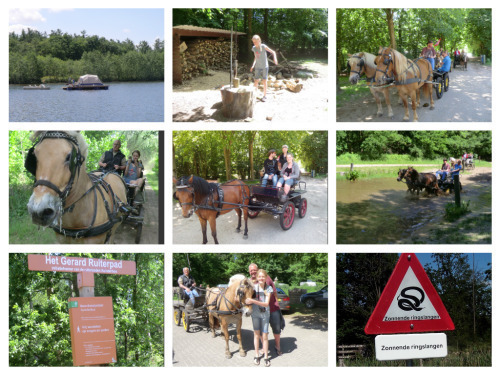 After a lovely horseback ride through the woods, our weekend ended at 15:30. On the road, the children were once again able to watch a DVD. We arrived in Amsterdam, and unloaded, before we went home. Thank you Goboony for this experience! We had a great weekend and will certainly be back again.